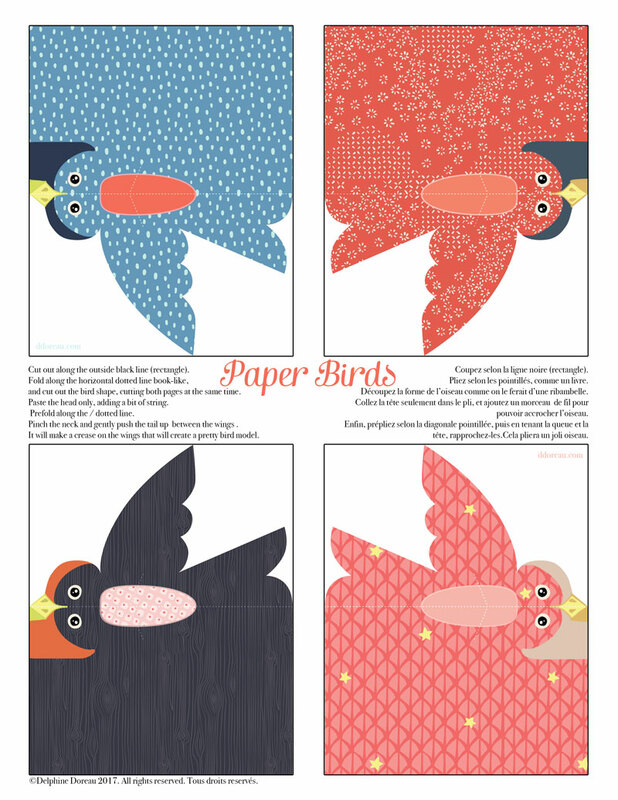 If you pay a little attention to the tutorial, folding these cute birds is fairly simple...and quick! As an added bonus, it will teach you a simple folding technique (prefold and opening a pocket) that is very common in origami but difficult to learn from a book. Enjoy! These simple birds make adorable ornaments, but look better if you hang them high. The music on the video was created for me by my husband, Sylvain Doreau, a few years ago. It's one of the best gifts ever, it matches my art and saves me from the torture of finding the right music for me.